This committee is planning the next Gold Gala Scholarship Dinner Dance, which is the HSSU Alumni Association’s premier event and primary student scholarship fundraiser. The gala is always the pinnacle celebration of Homecoming and is held the last day of Homecoming. Gold Gala Chairperson Shirley Brown is seeking representatives from all classes and welcomes all to serve on the committee. If you are interested in serving on the committee and helping to make this event a success, please contact Gold Gala Chairperson Shirley Brown at (314) 367-8739 or at sbrown601@aol.com. 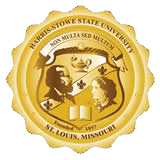 The Alumni Association collaborates with the Harris-Stowe Homecoming Committee by having alumni representatives serve on the committee. Alumni Homecoming Committee members plan an alumni event for the first Saturday of Homecoming, and they arrange for the Alumni Association’s participation in the HSSU Homecoming Parade, and help to arrange various other Homecoming events. If you are interested in serving on this committee, please contact the Office of Alumni Affairs at (314) 340-5754 or at Alumni@hssu.edu. The Budget and Finance Committee assigns budgets to the other various committees and estimates the expenses and income for each fiscal year. If you would like to serve on this committee, please contact the Office of Alumni Affairs at (314) 340-5754 or at Alumni@hssu.edu. Headed by Alumni Association Parliamentarian Tom Stenger, this committee reviews and proposes amendments to the HSSU Alumni Association bylaws. If interested in joining this committee, please contact Chairperson Tom Stenger at (314) 345-2512 or tom.stenger@slps.org. This committee mainly seeks to increase the membership of the HSSU Alumni Association and is also responsible for issuing membership cards and formulating and carrying out membership campaigns. If you are interested in serving on the Membership Committee, please contact the Office of Alumni Affairs at (314) 340-5754 or at Alumni@hssu.edu. The Nominating Committee is comprised of five elected members who slate alumni for the seven Alumni Association officer roles and the eight board member positions once their two-year terms are completed. If you are interested in serving on the Nominating Committee, please contact the Office of Alumni Affairs at (314) 340-5754 or at Alumni@hssu.edu to find out how you can be elected to the committee. The Scholarship Committee raises money to fund the Alumni Association’s annual $10,000 student scholarship contribution. They develop fundraising campaigns, organize mailings and do whatever they can to carry out the primary objective of the Alumni Association. If you are interested in serving on the Scholarship Committee, please contact the Office of Alumni Affairs at (314) 340-5754 or at Alumni@hssu.edu.